Many people know that you can seek compensation in the form of a personal injury lawsuit if you’ve been injured by a negligent person, company, or group. Not all know, however, that the same concept applies to law enforcement, public agencies, or municipalities that cause injury due to negligence. Although it can seem intimidating to sue a government agency or municipality, these institutions deserve to be held accountable as much as any other derelict party. In today’s political climate, it’s important to know your rights when it comes to liability cases involving government agencies as well as certain differences that arise when suing the state of Florida for a personal injury. Similar to regular personal injury cases, there exists a statute of limitations that restricts the amount of time after an accident that you can make a claim for any injuries. While in regular personal injury cases you can take up to four years to file a suit, Florida law dictates you have 3 years to do so. In a wrongful death case, the statute of limitations is limited to 2 years. Inmates looking to sue the state have 1 year to file a notice, and 3 years to pursue a lawsuit. For this reason, it’s important to note how much time has elapsed since the accident occurred. While we know personal injury cases are diverse and different, there exists a limit to which kinds of cases or compensation you can take or receive against the state of Florida. For example, Florida will not compensate any damages or finances that accrued during the case process. This speaks specifically towards any financial losses caused by inability to work or related financial losses that many can seek compensation for in typical personal injury cases. The amount of monetary compensation you may receive is limited as well. In municipal personal injury cases, the amount of damages awarded to an injured person cannot exceed $200,000. The amount cannot exceed $300,000 if suing multiple state municipalities. While that seems like a lot of money, regular personal injury cases can sometimes exceed millions of dollars depending on the injuries, losses, damages, and details of the case. Another difference in municipal lawsuits is that the state can appeal the resolution made for your case. This means that while you may have thought the case had been settled, the state is allowed appeal the decision made, keeping the legal process going. Individual government employees cannot be held responsible for the injury suffered. Unless the individual government employee was proven to injure someone intentionally, the state becomes responsible for the actions of their employees. Also, when suing a state university or state-run educational institution, the lawsuit will be applied to the county where the institution is located. Given how many different personal injury cases you may file against a wide range of negligent parties, it’s important to note that not all types can be brought against the state of Florida. First and foremost, a personal injury case against a state must also be considered a valid case should it have been brought against a private party. If your personal injury case is seeking financial compensation that would rectify the entire situation, the case will certainly be able to be brought against the State of Florida. These types of cases are the among the most common types of cases brought against the state. 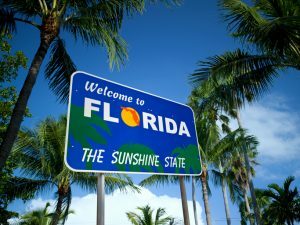 Negligence, above all, must be proven in a lawsuit against Florida. For example, vehicle accidents occurring at the fault of the negligence or wrongful act of a bus driver can be brought against the state’s municipal transportation agency. Before filing a lawsuit against Florida, you must file a notice letting the state know that you intend to sue them for your personal injury. The Division of Risk Management dictates that the notice must be written in clear, concise language within the statute of limitations detailed above. The notice must detail exactly what damages were caused, the accident itself, and the date it occurred. The notice must also be notarized and delivered to an individual or department authorized to receive the notice via personal delivery or certified mail. The notice must be made on paper, and emailed claims will not be considered. After filing the notice, you must wait at least 180 days to move forward with the lawsuit. During this time, the government can have a claimant examined by a third-party, medical professional to assess the injuries claimed in the notice. Given the unique nature of municipality personal injury cases, legal consultation and advice should be taken before moving forward with filing a municipal liability lawsuit. An attorney that is well-versed in municipal personal injury suits can ensure you receive just compensation in your case. 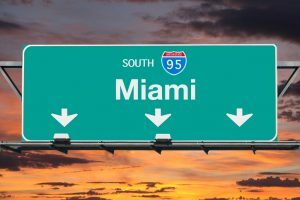 If you believe you have a case against a Florida state municipality, contact our team of experienced attorneys at Miami Injury Lawyers.